In 2016 we told you how our comrades in the Czech Republic had organized the first ever anti-fascist martial arts tournament in that country in September of that year. 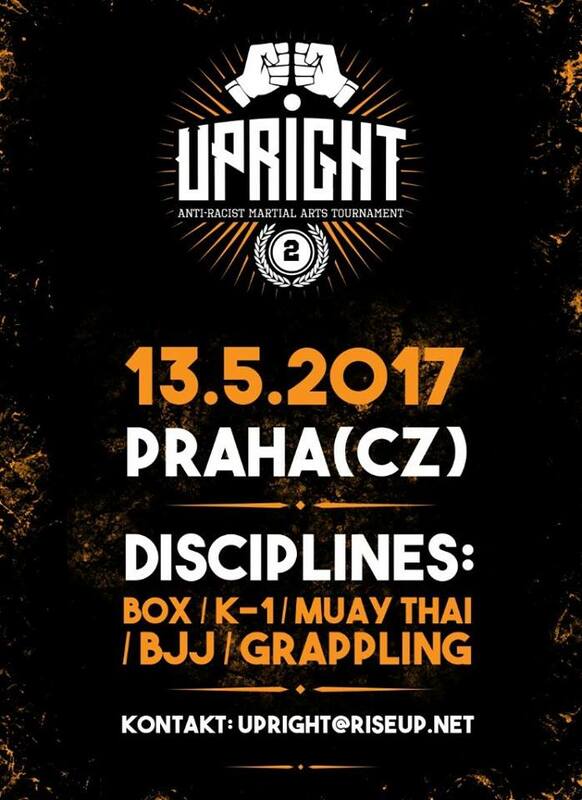 Today it is with great joy that we can announce that the movement continues, with the second installment of UPRIGHT taking place next month in Prague. Disciplines include boxing, K-1, Muay Thai and Brazilian Jiu-Jitsu. Those interested in attending or competing should contact upright@riseup.net. Deadline to register is April 24th! Utmost respect goes out to our Czech friends for their tireless work, commitment and vision – you are an inspiration.